Random acts of kindness -what about it? Random acts of kindness are an inspiration. They mean that someone has our back, someone who gains nothing from the act. Its about the other person. I read this in an article written a couple of years ago entitled Who is on your Team by Alison Winn Scotch and then the other day Thrive Global were asking for pieces to do with just this subject. I was a little slow in sending something in and regretted it as this is a topic very close to my heart, more so since becoming an author, a struggling author but that is another story. Acts, random acts of kindness have a profound effect on the recipient and this in turn reaches out and affects others. It is a paying it forward domino, or at least I like to believe this. When we take on a new enterprise, we need support from those familiar and dear to us. It is the boost to the courage needed to seek support from outside. Outside support determines the success level of a business, any business including writing. People are busy. We all know and accept this, but support is such an easy thing to give. Whenever I feel myself thinking less generously with my time, I remember a humbling experience I had years ago while travelling in Italy which I would love to share with you. The act was most random and even a little strange, or perhaps unexpected. 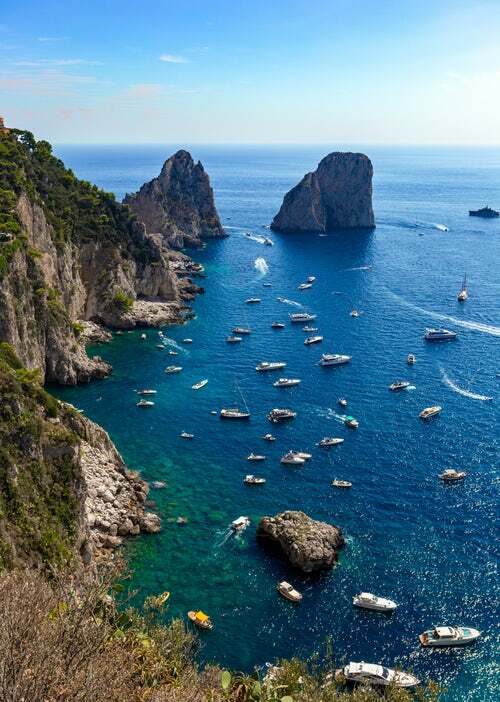 One of the most stunning places I have had the privilege to visit is the Isle of Capri, and its famous Blue Grotto, or Grotta Azzurra as the Italians say. The sea cave is amazing, hosting a spectacular phenomenon that only happens eighty days of the year, tidal conditions permitting. Let me say that I am afraid of deep water, and that water adventures have never been on my priority list. However, I took the coach to the marina along with others on my tour, and duly hopped on the ferry only to discover that to fully appreciate the grotto I needed to get into a tiny rowboat in the middle of the ocean. No. Absolutely not. In case you are not familiar with the cavern I should explain that it has a narrow entrance that is also limited in height (dependence on tide). The procedure is simple. As one rowboat goes in another comes out. Upon reaching the entry the boatman grabs hold of a rope attached at the top of the opening, tugs downwards, and uses the rope as leverage to lower himself on top of the rowboat passengers who have been told to lie flat as the boat enters the rock. Once inside the boats follow one another slowly, giving visitors the time to fully appreciate the splendour unfolding. Limited Space!!! Limited Height!!! Dark hole!!! Absolutely No way!!! My observations were made from the ferry deck. I’m Italian and we have very expressive faces. Oblivious to anything except my fears (incredible panic) I failed to realise I was being closely observed by a male fellow passenger, and he was frowning, frowning heavily. We had a queue going on the ferry to board the steady stream of rowboats. I kept moving to the back of the line, hoping to eventually avoid the experience without anyone noticing. The gentlemen disagreed, strode up to me, got in my face and told me to get in the boat. The problem was I was happy not to; he wasn’t. Very nicely he told me again to get in the boat. Taken by surprise I turned into a gaping goldfish, managed to recover and shook my head. This didn’t help either of us. He repeated the, his instructions. I shook my head again, at the same time noting an Australian accent, and a hand on his arm belonging to a female telling him to mind his own business, and four children chortling. Braver, I added a louder no. Who the hell was this man? It might seem strange but despite embarrassment I never once thought of him as anything negative. The word bully never entered my mind. There was such sincerity to this man who hailed from Perth, Western Australian that it overrode the yelling and swear words. His wife, his children and the passengers, including those that had been inside the cave knew it, and so did I. This was a good man. I did get in the boat, and once inside the cave I called him every name under the sun. I didn’t know I knew some of the words I used. I had let a total stranger dictate to me and I was now in a black hole. The weight of the boatman lifted; I sat up and nervously looked around. A ray of sunlight blinded, bedazzled. My eyes adjusted, the tempo of my heart slowed to enjoy the iridescent shaft hit the water, continue down to reveal the wonders of a deep dark sea, a sea whispering that magic exists, if we take the time to find it. To this day I remember every moment of that experience, I remember every shade and hue that the sky, the cavern and water gifted me and I remember a man who was on my team even if I never saw him again. A random act, a unasked for kindness unasked and yet that moment drifts to the surface constantly and reminds me to think outside myself. Recent research shows happiness and success rises when we perform these acts. What about you? What do you think and do you have a story to tell? You tell me yours and I’ll tell you mine. Italo-Australian, Teacher (Bachelor of Education), and writer of mixed genres with a passion for travel and languages, awesome cooking and coffee. Varied work experiences includes a stint in the Australian Army, retail and a few years in Real Estate and obtaining her Bachelor of Education at the age of 40 to give her books what she hopes is a realistic, romantic and a multi-cultural feel.